The L&N Bed and Breakfast is a featured article in the Agritourism Monthly Magazine produced by Kentucky Proud Kentucky Department of Agriculture November 2014 issue. The entire publication can be downloaded and viewed here. See the article on page 11 of this publication. Yes, we are Kentucky Proud ! Last week we were proud to have Dr. James L. Rungee as our guest during the Sandy Lee Watkins Songwriters Festival. Dr. Rungee is an avid Bluegrass fan and bass fiddle, banjo, guitar and harmonica musician. He had nothing but outstanding remarks about being in Henderson KY. He called Henderson Kentucky his “home away from home”. We hope to have Dr. Rungee and his friends with us for many years to come for the Songwriters Festival. For 2014 he has already reserved the whole house. Below is a reprint from The Gleaner Opinion Page article that appeared Saturday, August 10, 2013. I have just returned from what can only be described as a magical week in Henderson, getting to learn about, listen to and converse with some of Music City’s royalty as part of the Sandy Lee Watkins Songwriters Festival. This was my first visit, but won’t be my last! 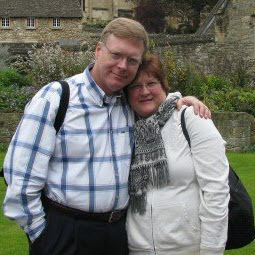 What wonderful ambassadors your town has in Mary Elizabeth and Norris Priest of the L&N Bed and Breakfast. A more welcoming and cordial couple you won’t find anywhere (if you haven’t experienced breakfast and magic with Norris, you’re missing out!). A shout out to Taunee and her smile at Stay Fit 24, who wouldn’t hear of charging me anything for the two days I used the superbly equipped exercise facility there. And also to Aaron, Cailee and Emily at CKB, whose smiles and warm conversation made it impossible not to return over and over there to eat from the restaurant’s superb menu. The chef there definitely has his kitchen switched to game on (and is why I had to go to Stay Fit 24)! I know I speak for every festival attendee when I say this is one of the best tickets around! I commented to someone after the first early session on Wednesday night that I couldn’t recall ever having seen more talent in one room at one time, a comment I would find myself repeating over and over with each session. The venues were all wonderful. The sound engineers did an over-the-top job. I ate way too much popcorn at Rookies, and the intimate in-the-round setting at Delizio’s really made one feel as if they were sitting in one of the writer’s living rooms watching a song-jousting match with a bunch of his or her buddies! Little did I realize last Wednesday as I pulled away from my house in Tennessee en route to Henderson that I was headed home. No, I have never been to Henderson nor do I have kin there. But from the neighborly hellos and waves from folks in the downtown streets, to the friendly servers, bartenders and store owners in every downtown establishment that I patronized, to just random town residents expressing genuine concern that I was finding everything and confirming I had all I needed, I could not have been made to feel more like family! Thanks to a wonderful town for a GREAT week. I plan to be back next year if not sooner! Jim Rungee is a resident of Murfreesboro, Tenn.
Jack and Dotty Haskins of Cincinnati Ohio spent the past weekend here at the L&N Bed and Breakfast completing a 20 day tour of Indiana, Illinois, Missouri, Arkansas, and Kentucky celebrating their 50th Wedding Anniversary in their orginal 1932 Ford Coupe. What made this so interesting is that 50 years ago when they got married they spent their honeymoon touring the same places they did on their anniversary in the same 1932 Ford Coupe. The were just having a great time touring in their 1932 Ford Coupe. We were proud that they included the L&N Bed and Breakfast on their anniversary. How can we help you celebrate a special occasion in your life? Some pictures from our guest this past weekend. We were glad to host several attending the Bluegrass in the Park Festival in Henderson KY. We were sold out this weekend and Mary Elizabeth had a big birthday on Saturday (August 11). Carl and Jodi Sellmyer of Bloomington, IL had this to say about their stay. My wife and I had the good fortune to attend the Bluegrass In The Park Festival in Henderson this past weekend. We simply could not have had a better time. From the Thursday Del McCoury concert through the Friday and Saturday riverfront festival the air was filled with music. It was a really rich experience for us to enjoy all of the top quality music and to actually meet and visit with many of the performers. The festival volunteers were well organized and deserve the community’s thanks and respect for all their hard work. The Saturday breakfast was very good and I know that takes a lot of effort too. The food from the vendors was also very good. We appreciate all the improvements which have been done to the city and the riverfront. We stayed at the L&N Bed and Breakfast. Our hosts Norris and Mary Elizabeth Priest treated us like royalty. Everyone we met treated us as a friend and it really made our visit special. We offer your community a very sincere thanks! A few weeks ago we had the fortune to visit your town on our latest holiday to the U.S. We are gradually visiting all the states and this time John James Audubon brought us to Henderson, but what we found was much more. We stayed at the very comfortable and hospitable L&N Bed & Breakfast with Mary Elizabeth and Norris Priest. Having found it by chance on the Internet, we were not prepared for the wonderful welcome we received and the excellent breakfast. Norris recommended Rookies for our evening meal, and we were pleased with the food and the service. Rightly very proud of your town, Mary Elizabeth and Norris encouraged us to do more than just the sculpture walk before we headed onwards to the Audubon museum. What we found was a pleasant array of historic buildings and something familiar to us from home — a Carnegie library (Henderson County Public Library). Both of us work in libraries in the UK, so we made ourselves known to Director Donald Wathen, who was very welcoming and kindly gave us a tour of your interesting library. At a time when we are concerned about the drop in usage of libraries in the UK, it was heartening to see a thriving and busy library. We arrived just as Tai Chi was finishing and a genealogy class in progress. You also provide an amazing range of resources for the size of library. How we wish we could have stayed longer, but the visit to the museum called and this completed our visit here. What a fantastic museum and the sculptures on the walk are such a wonderful idea. I hope you print this to show how proud you should be of your hospitality and town and to thank those we met along the way who made our visit happy and memorable. We rode into your town recently on our tandem bicycle on our way from Mobile, Ala., to Owen Sound, Ontario, on the Underground Railroad bike route. After asking where we could stay downtown near the river, we were directed by the nice folks at your city hall to the L&N Bed and Breakfast. We had dinner at Rookies amid a very friendly crowd of people who were very welcoming and have just finished having breakfast with Mary Elizabeth and Norris Priest. We just wanted to say what a great place Henderson seems to be and how friendly everyone has been. We are from central New York (think cows, not subways), and this is our second long bike trip. Places like Henderson are what make this such a great country. In spite of our political and cultural differences, our fellow Americans are wonderful people.